Price listed is for twelve nail heads. These are sew on stones with flat backs and faceted tops. They measure about 5mm. 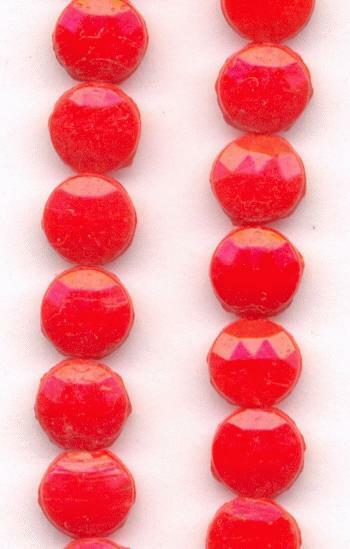 These are opaque siam ruby. They have one hole through the side.